She awakens, cold with terror. The final judgment of the Holy Harrower is at hand." An aeon dragon has arrived to wreak havoc upon the lands of KaW. You and all the other lords will have to band together to fight this magnificent beast. This premium EB can be started by using a Bell of the Final Ordeal. 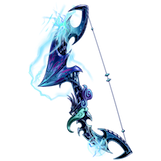 The Bell of the Final Ordeal can be purchased in the store for 59 NB, but can also be gained by combining the 6 different coloured sickles (Purple Sickle, Yellow Sickle, Red Sickle, Orange Sickle, Green Sickle, Blue Sickle). These sickles are not tradable, but can be gained from any regular or premium EB excluding Eschaton, the Cataclysm; they will not drop from Blood Rains EBs. 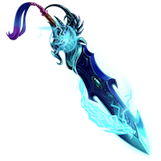 Drop rates of the sickles are higher in premium EBs. 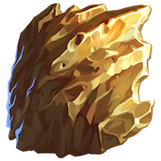 Eschaton, the Cataclysm will drop Gold Aeon Dragon Scales which will need to be used for a new Global Leaderboard. Players will take their Gold Aeon Dragon Scales, and attack a player named "Eschaton" to damage it with their Gold Aeon Dragon Scales. This will in turn put Damaged Scales on "Eschaton", which will be used to gauge the entire lands total drops. 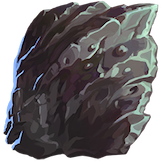 Players will use up half of their scales with each hit to damage "Eschaton" unless they have under 100 scales, in which case all scales would be used in a hit. There are multiple leaderboards this event, because who doesn't like to be on top! 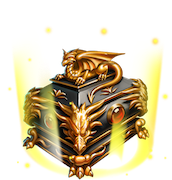 Players will get Gold Aeon Dragon Scale drops from defeating Eschaton, the Cataclysm (EB). They can then take these drops, and attack/scout/steal/assassinate "Eschaton" (found via the battle list) which will cause that character to get damaged scales. These damaged scales will be the focus of the Global Leaderboard. There are a variety of legend rewards that require a player to have a set number of global leaderboard drops. When you attack "Eschaton" in the battle list, your account will sync with the number of global drops and give you the appropriate legend progress. There are 3 new permanent items that can be gained via In-App Purchases. 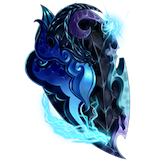 These three items are the Bow of the Celestials, Shield of the Celestials, and Sword of the Celestials. 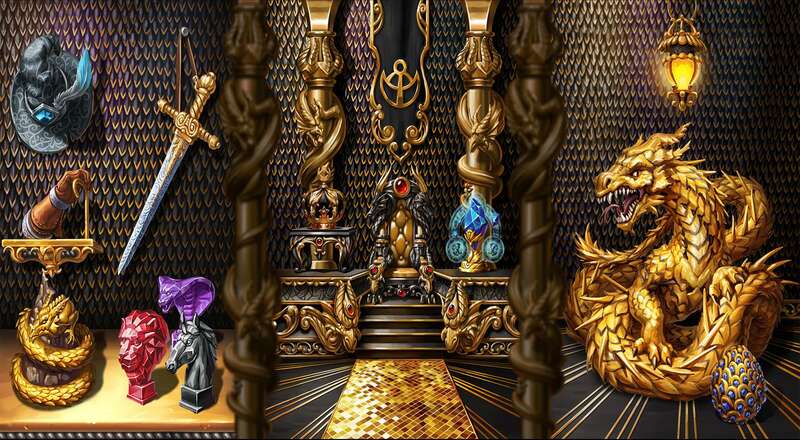 Furnishings exclusive to The Aeon Dragon will be available in the Furnishings Shop, Aeon Dragon Box and Royal Aeon Dragon Box. There will also be 5 special furniture boxes! 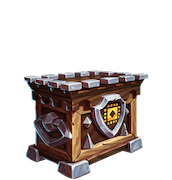 These boxes are the Heirloom Chest, Noble's Furnishings Chest, Headquarters Chest, Noble House Chest, and Noble Lineage Chest. 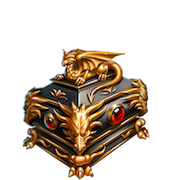 4 of the chests give a special piece of furniture for a specific slot, and 1 chest has a variety of furniture and other rewards. This event starts at 6 am Pacific time on "Black Friday", November 23rd, and runs until 12 pm (noon) Pacific time on Wednesday, December 5th. You guys steal so much from World of Warcraft its funny. Started the new EB out of curiosity but can’t find the things you mentioned in marketplace. Specifically the “Bell of the Final Ordeal” which can apparently be purchased for 59 “EC”. I understand adding new (hidden?) items but is this a new currency or a typo? Edit - Found them in defence items. I’m probably wrong about EC being a typo too so feel free to ignore all of the above. Last edited by Haruld on Nov 23 2018, 6:32am, edited 1 time in total. Wow kaw has gone completly crazy atas greed knows no bounds wth devs..
How long will the 3 perm items be available in the Oracle? Confused as hell but okay. Hey there ata, how about fixing the crap that's messed up before adding paid for ebs? And every thing else that's been posted on forums.